LAMBERTVILLE, N.J. — Rago Art and Auction Center presented a weekend of auctions January 19 and 20. The top lot came to the block on Sunday as part of the Lost City Arts: 36 Years of Collecting auction. 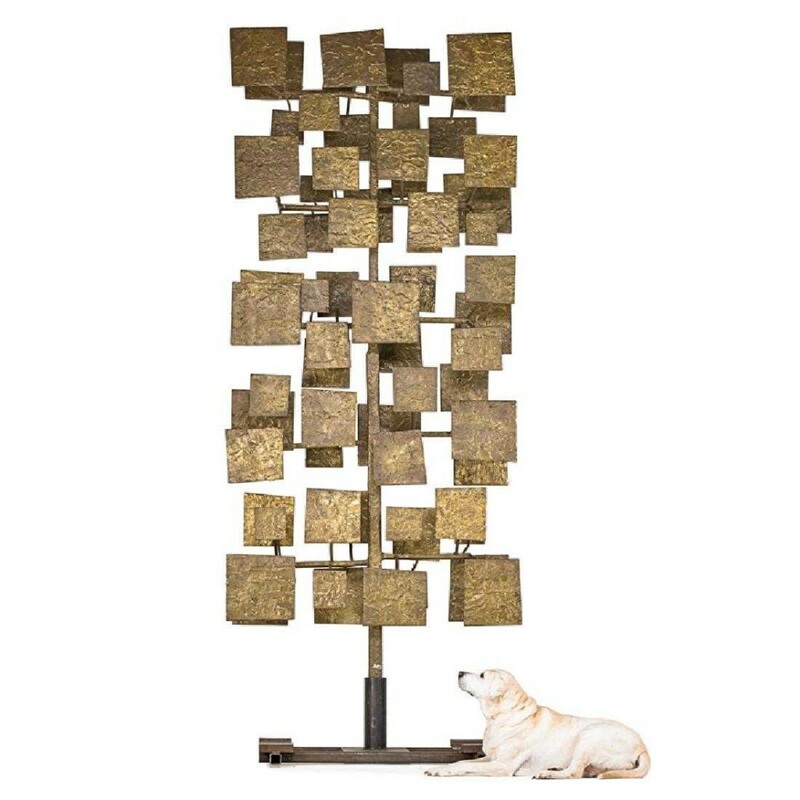 Featuring 106 lots of Midcentury and contemporary design and sculpture from the collection of James Elkind, proprietor of Lost City Arts in New York City, the top four lots were all by the American artist, Harry Bertoia (1915 – 1978). His monumental sculpture screen from a set of ten executed for the First National Bank of Miami, 1959, was the favorite when the 136¾ inch high melt-coated brass over steel sculpture sold at $125,000. The biggest surprise of the weekend came during the modern ceramics and glass auction, when an early pillow pitcher with a Tang-style glaze, by Betty Woodman (1930-1918), was pursued to $31,250—far beyond its $2/3,000 estimate. The 1970s glazed earthenware pitcher, 12½ by 14 by 9½ inches came from a friend of the artist’s private collection. A full review of the weekend events will appear in a future issue. For further information, www.ragoarts.com or 609-397-9374.